Empowering our Kids and Teens by giving them the tools needed to self regulate their Stress and Anxiety. Individual, group and family sessions available as well as School Holiday and Exam Workshops. 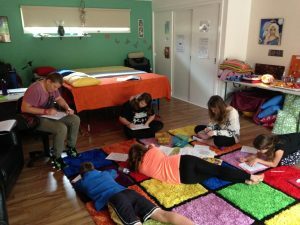 Workshops designed to Empower our Kids and Teens teaching them how to Manage their Stress and Anxiety. Please see the below calendar for upcoming School Holiday and Back to School workshops. To book one of these Workshops please use the booking tab below. For more information or to make an appointment for the Fortnightly Group or Individual/Family Sessions please use the contact tab below. 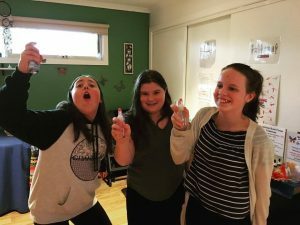 Our Kids and Teens are taught how to self regulate their stress, anxiety and other emotions using strategies like Meditation, Yoga, Breathing Exercises, Hand Mudras, Brain Gym and Cognitive Behaviour Therapy. These strategies are presented in a variety of ways to cater for all learning styles. eg: YouTube clips, handouts, audio clips and hands on activities. Group Sessions are 45-50minutes in duration, run fortnightly, are capped at 5 participants and run each school term. Individual sessions are available after school and on weekends. Parents are encouraged to stay for the Kids Sessions but are not required to stay for the Tweens and Teens. As a participant of the group sessions, I will join you to the dedicated Facebook group for the sharing of all information for these sessions including YouTube links, handouts, timetables etc. 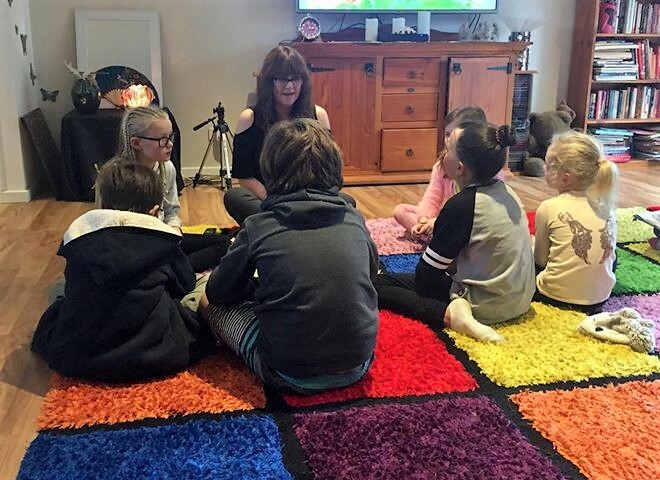 Great care is taken in grouping our Kids, Tweens and Teens together in groups that will complement each individual’s age and/or personality, therefore, these sessions need to be booked via me rather than through the generic booking system. Registrations open approx: 2 weeks prior to the start of each school term. Total cost is $17 per session for a group of 4 or 5, payable upfront at the start of each school term. For term 2, 2019 there are 5 sessions. 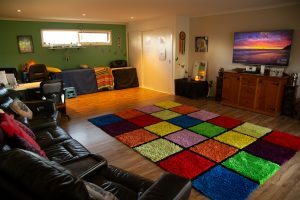 With similiar content to the fortnightly group sessions, these sessions can be personalised to suit the individuals needs. Sessions can be designed for one or more family members to attend together. Great for siblings and small family groups. Teen, Adult and Family sessions = $90 for 55 minutes or $130 for 85 minutes. Kids and Teen individual sessions = $70 for 40 minutes or $90 for 55 minutes. Initial sessions are followed up with a comprehensive email outlining notes from the session as well as any website links and attachments in preparation for the next session. Email support and some phone support is also available in between all sessions. For those that cannot make the fortnightly sessions or for those that just want to revise or see what all the fuss is about with an intensive 1.5 hour workshop. As per the fortnighly sessions, parents are encouraged to stay for the Kids session but are not required to stay for the Teens. Total cost for Kids (6-11yrs) and Teens (11yrs +) is $25 per person per workshop. These workshops are designed to help our Kids and Teens manage their stress and anxiety around starting/returning to school and exams. The workshops are 1.5 hours in duration and run at different times during the year to coincide with the start of the school year and high school exam timetables. Parents are encouraged to stay for the Kids Sessions but are not required to stay for the Teens. “My daughter and I have been attending Kim’s kids workshops fortnightly. Kim has helped us both to learn breathing techniques and meditation which has helped keep us more calm and we certainly both sleep a lot better! The biggest change has been in my daughter’s confidence, the sessions Kim runs have taught her resilience and the importance of valuing herself. Her teachers and other school staff have commented that she has relaxed a lot more and is more comfortable being herself and making her own choices. Thank you Kim for helping me to teach my daughter to believe in herself, be strong and trust her instincts”. Louise W.
For more information or to book, please do not hesitate to contact me.